There are many fun and fabulous places to visit in the Virginia area! We’ve got five of our favorite Virginia vacation spots. If you’ve got the time to travel, visit them all! 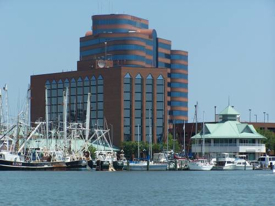 If you stay in Hampton, you’ll have access to all kinds of family fun in the southeastern Virginia area: Busch Gardens; Water Country; 400 years of history; amazing beaches; fishing and a myriad of other water recreation possibilities; and, military installation tours. Family friendly attractions include the Virginia Air & Space Center, Nauticus, the Virginia Aquarium, the Virginia Living Museum, and much more. Southeastern Virginia has everything a family could want in their vacation. 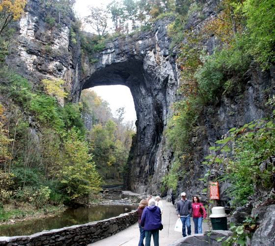 A trip to the Natural Bridge is a vacation in itself. 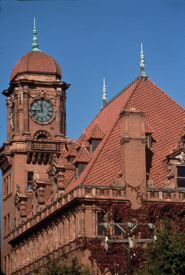 You can stay in the comfort of the historic Natural Bridge Hotel & Conference Center. Family vacation packages start at $125 and include the majesty of the Natural Bridge and Caverns, an evening Drama of Creation light show, a Wax Museum, a Toy Museum, a hearty country breakfast in the hotel’s Colonial Dining Room..
Stay/Dine: The Summer Family Fun Package is good for two (2) adults and two (2) children ages 5-12 and includes four (4) attraction tickets, four (4) breakfasts (two $10.00 adult breakfast vouchers and two $4.50 children’s breakfast vouchers), and one (1) standard room. Norfolk is rife with history and home to the world’s largest naval base. Family attractions include the Chesapeake Bay beaches, historic downtown district, Nauticus National Maritime Center, and the Battleship Wisconsin. Dine: There are many great restaurants for families on Granby Street, downtown’s “restaurant row,” and in the historic district of Ghent. 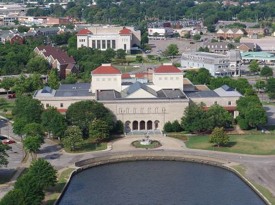 There is much to do in Richmond, so get ready! Don’t miss the Science Museum of Richmond, the Virginia Historical Society, the Lewis Ginter Botanical Garden (which encompasses a just for kids area), and Maymont, a 100-acre Victorian estate that is free to the public and features amazing wildlife, the Robins Nature Center (great for kids), and breathtaking, authentic Italian and Japanese gardens. Dine: The historic Richmond region is home to more than 900 restaurants from local mom and pops to chain establishments. 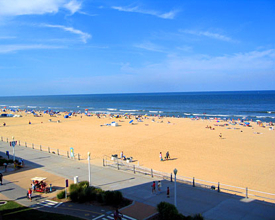 If you’re in need of a relaxing beach vacation, Virginia Beach is the place to stay and play. Aside from sun, surf, and sandcastles, check out Ocean Breeze Waterpark, or the Virginia Aquarium, and be sure to explore the Old Cape Henry Lighthouse. Stay/Dine: Don’t miss this stay/play/eat package for the whole family at the Holiday Inn Oceanside. Enjoy a large two topping pizza with a two liter soda and one free in-room movie. Breakfast for 2 included, kids eat free.